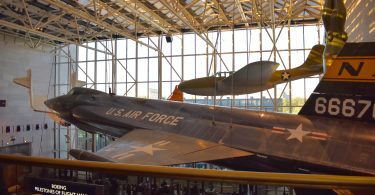 The Smithsonian Air and Space Museum has split into two different museums. The main museum is still on the National Mall. 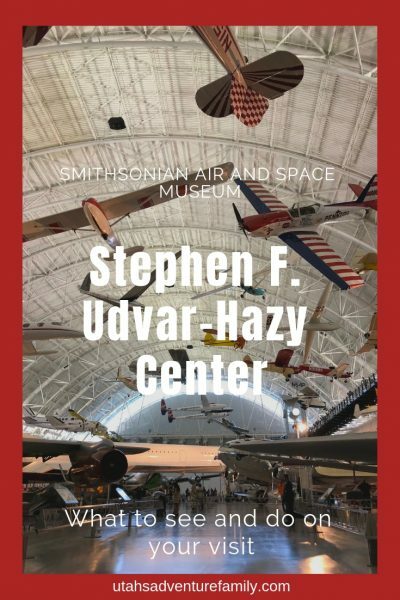 Now there is a second museum called the Udvar-Hazy Center. 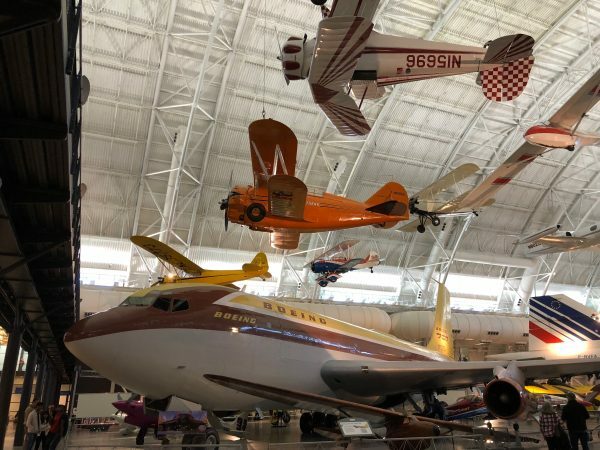 This branch of the museum is near Dulles International Airport outside the city, and we liked it even better than the downtown museum. Even the building is pretty cool to see. There are many types of aircraft to see, and the main attraction is the space shuttle Discovery. 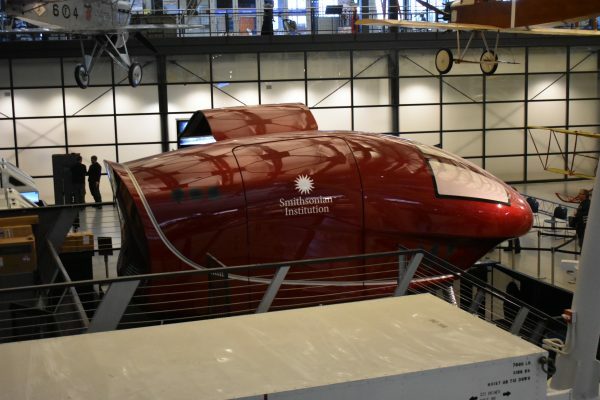 We were amazed at how many planes, helicopters, jets, and spacecraft were in this museum! 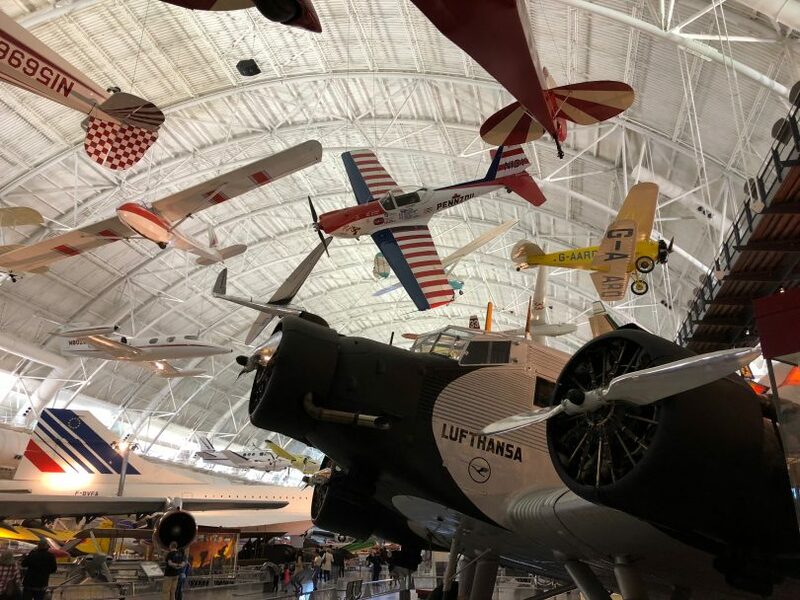 Best of all, the Air and Space Museum Udvar Hazy-Center is free, but there is a fee for parking. Make sure to stop by the Family Welcome Center desk when you enter the museum. 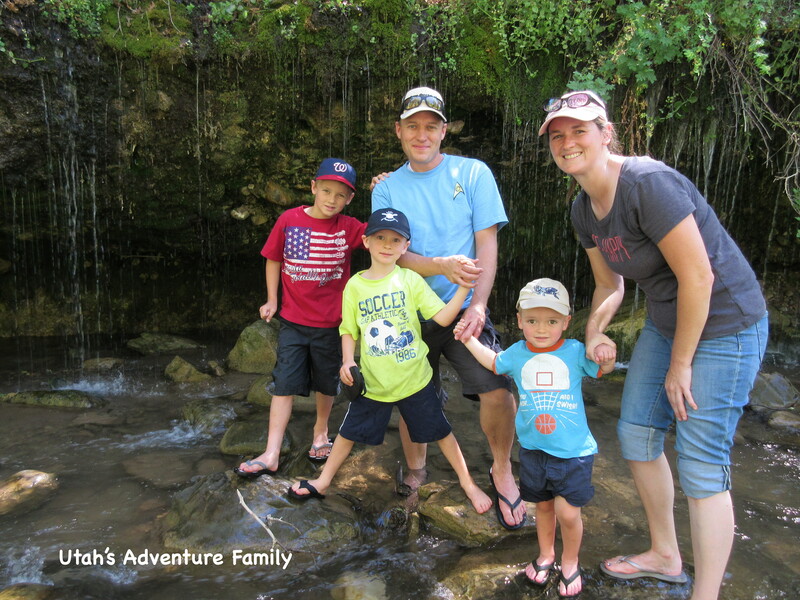 We were given a scavenger hunt for the kids that we really enjoyed. It sent us to the far corners of the museum looking for aircraft. Each time we found one, we wrote down its animal name. Our favorite was finding the SR-71 Blackbird, which wasn’t difficult since it was one of the largest planes in the museum. 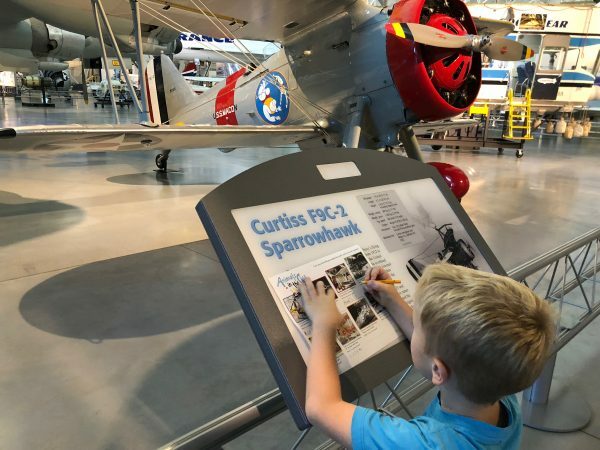 The scavenger hunt was perfect for keeping our kids involved while looking at all the planes. 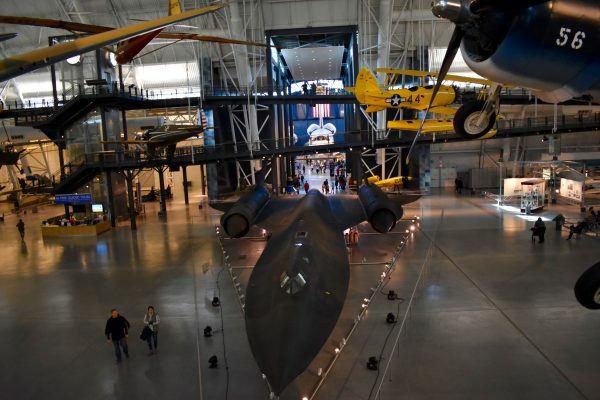 The Blackbird is the first plane you walk into as you enter the museum. There are two levels to the building. The lower level lets you weave around looking at the planes parked on the ground. The upper level allows you to walk among planes hanging in the rafters. There are plaques near each plane that tell the background and story of each aircraft. We wandered around for hours reading about helicopters that could be carried in a backpack and massive jumbo jets. 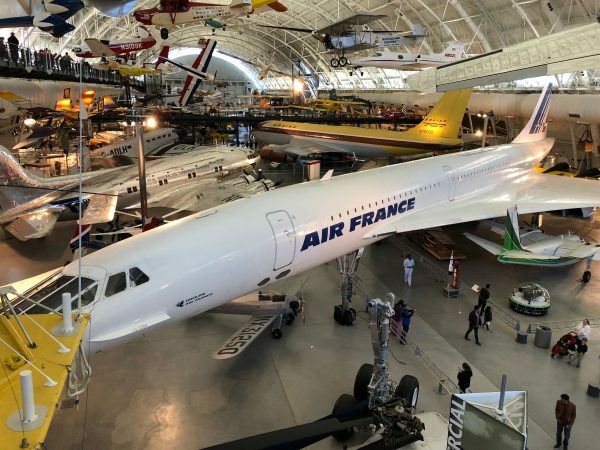 There were lots of special planes to see like the AirFrance Concorde and the Enola Gay. On the lower level, you walk right next to the planes, but can also look up to check out the planes hanging overhead. Upstairs you can see the hanging planes closer up. But it’s also fun to look down below to see how large the planes are. It’s hard to tell how long this plane is, but it is huge!! There are a few things you don’t want to miss in the Center. The first is the Space Shuttle Discovery. It is parked in the back of the museum in the space section. 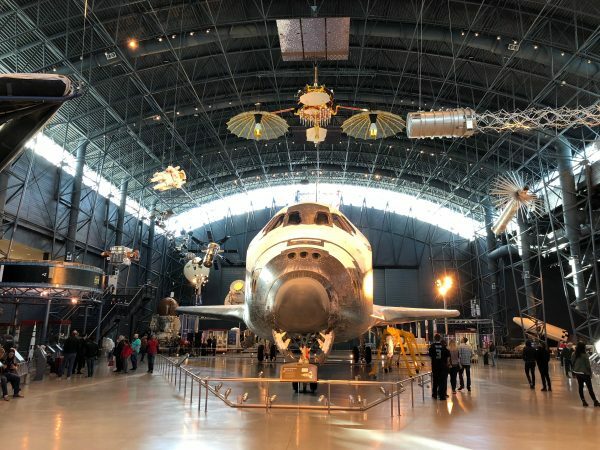 We didn’t find this shuttle presentation quite as fabulous as the one at Cape Canaveral, but seeing one of only four shuttles in existence is still pretty special. There is a whole room dedicated to space aircraft with the Shuttle Discovery as the focus. It is so neat to stand by something that was actually in space!! Make sure to stop at the simulation station. For a price, you do virtual reality, fly in a ship to the moon, or land a glider. We enjoyed the rocket ship ride, which our boys could participate in. It involved sitting in a simulator and watching a video while hydraulic lifts tilted and moved the simulator. There is also an IMAX theater and a planetarium which does shows. We ran out of time to visit these, but make sure to check out the shows available if you are interested. They do cost extra. We took a ride in the Ride Simulator. It reminded us of StarTours at DisneyWorld. When we finally wore out, we took our scavenger hunt back to the desk. Our boys were given a picture of a plane, a bookmark, and an embossed certificate. 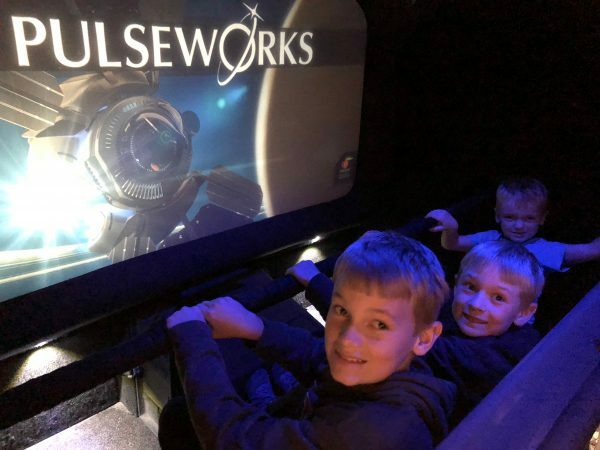 They loved the prizes almost as much as the museum! 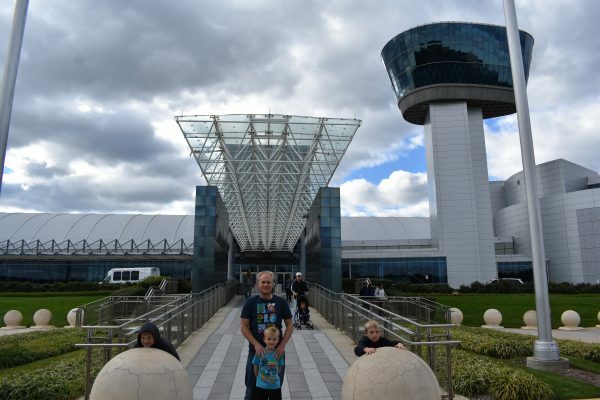 Make sure to try the Steven F. Udvar-Hazy Center if you find yourself in Washington, DC. 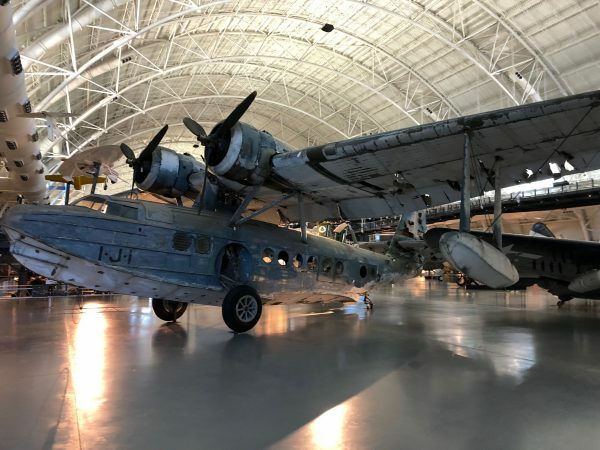 This is the only plane to survive the Pearl Harbor attack. What a special sight! 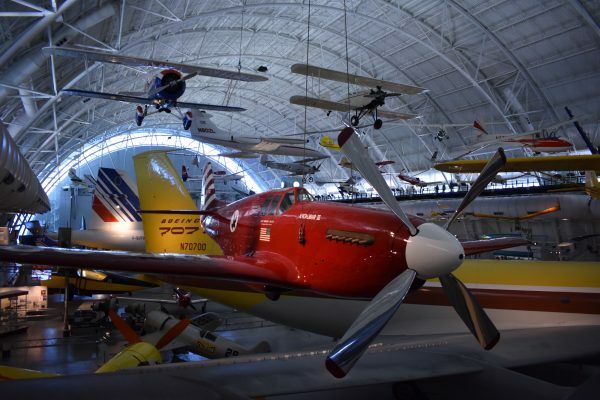 Plan on 2-3 hours in the Udvar-Hazy Center. We wandered around for a long time. Make sure to pick up a scavenger hunt when you first arrive. There were some free activities going on throughout the museum. Try and do those first since they close down before the museum does. There is often a line, so pick which ones you really want to do and just wait. Wear comfortable shoes. You will be on your feet the entire time. 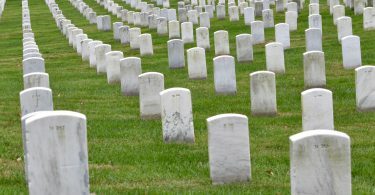 There are benches throughout the museum to rest. This is definitely stroller and wheel friendly. There are height requirements for the simulations rides, so make sure to check those out before purchasing tickets. For more info on hours and exhibits, visit their website.